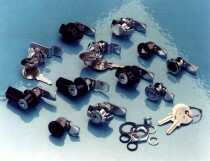 It is good to remember that we specifically cater for small enclosures and panel doors with our quarter turn program of small and medium sized locks and latches including wing knobs and compression latches. So if you need the reassurance and practicality of a robust security device with an insert or key mechanism then you can rely on the EMKA program. On the other hand small boxes often need exceptionally quick assembly and we can help there as well with the 1022 quick mounting quarter turn program. Share the post "Quarter turns for small enclosures"
Under our theme of “everything but the enclosure” this helpful new door stop – Program 1087 – offers increased fixing opportunities and a reduced rail leg, which enables more variable installations where a positive door retention is required for use in windy conditions or otherwise during maintenance situations. 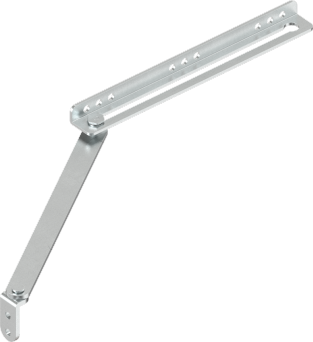 In particular the angular mounting rail provides 9 fixing holes, offering various fixing possibilities to the door or reinforced door frame – plus the reduced height of the rail leg of 16mm offers an ideal fixing solution for narrow, reinforced door frames. 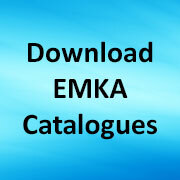 See our full range of cover stays and door stops in the EMKA catalogue. Share the post "New Program 1087 Door stop for specialist cabinets"
The future of locking solutions – at HANNOVER MESSE 1-5 April 2019 – if you are in Hannover for the show then you can see many examples from our extensive catalogue of manual locking systems and electronic access control equipment, including several new solutions on our stand D30 in Hall 12 . 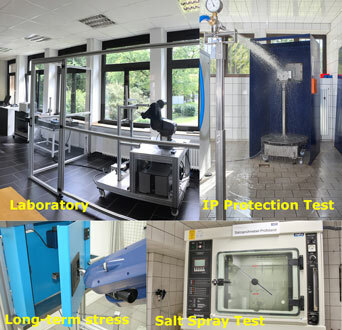 In addition to further developments such as the eCam Safety or the Agent-E as well as proven products from our market leading portfolio of single-point and multi-point locks, the trade fair presentation will focus in particular on the range of full locking systems including monitoring features for switch cabinets and server cabinets. 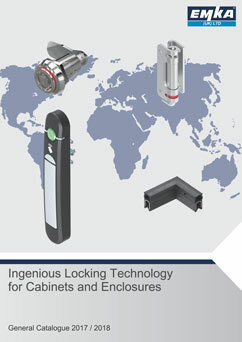 Share the post "HANNOVER MESSE 1-5 April 2019: EMKA presents locking solutions for the future"